So cute! Love the expression! Sweet little dog, he looks quite intent on something! I just love the look in his/her eyes. Very nice sketch!! Very hypnotic look in his eyes, great sketch! Nice to see you back again Debra. Aw, I love that face! 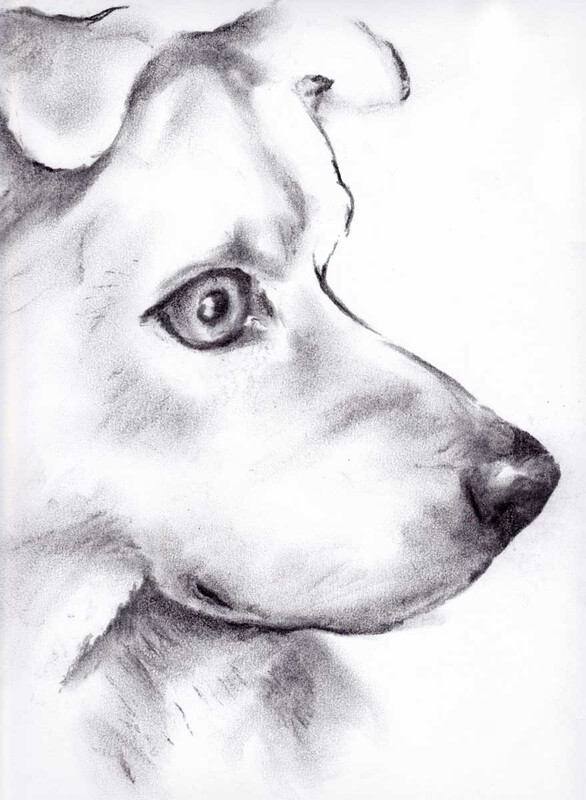 such a beautiful and curious looking dog =) well drawn!